The when, why, what and who about @DriveEurope. And where we’ve been. Interlaken, Switzerland, 1920 miles March 2017: a week-long chalet rental in Habkern, in hills above Interlaken central west Switzerland. Included 703 mile day-long dash on way there and 824 miles on the way back, both on Black Saturday weekends (though traffic wasn’t really an issue via Strasbourg, avoiding the French Alps). Also included a day trip to Geneva (270 miles) and a £105 (each!) cable car trip to Piz Gloria – featured in James Bond On Her Majesty’s Secret Service – from Lauterbrunnen, 20km south of Interlaken. After overnight snow, the drive down the very steep lane from the chalet was extremely dicey, even with our much-vaunted M+S ‘mud and snow’ tyres, and Land Rover’s famous Hill Descent Control (the advice to ‘just put it in first and don’t touch the brakes’ worked in the end). 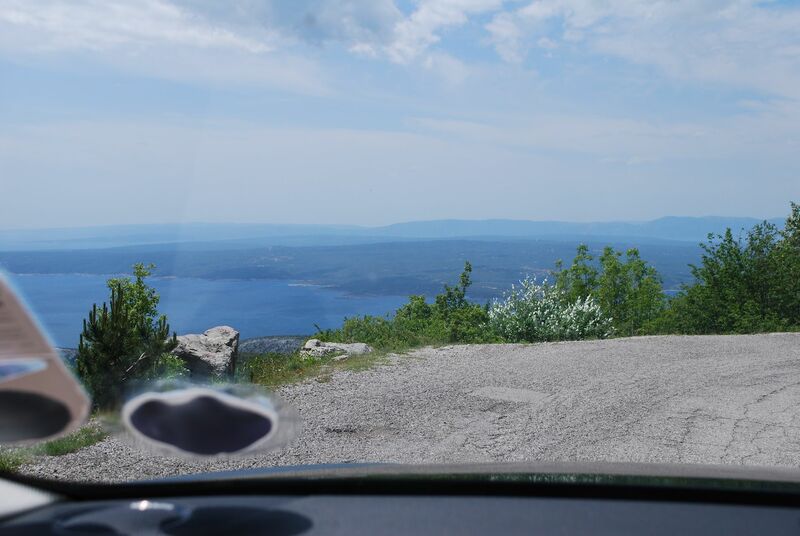 The idea for @DriveEurope came during a heated row on the way back from Rome in April 2010. Were we going to cut across to the South of France, or head home via Switzerland? It was the first discussion we’d ever had about a route without the benefit of maps. After five years driving around the Continent obviously we had started to get the hang of it. 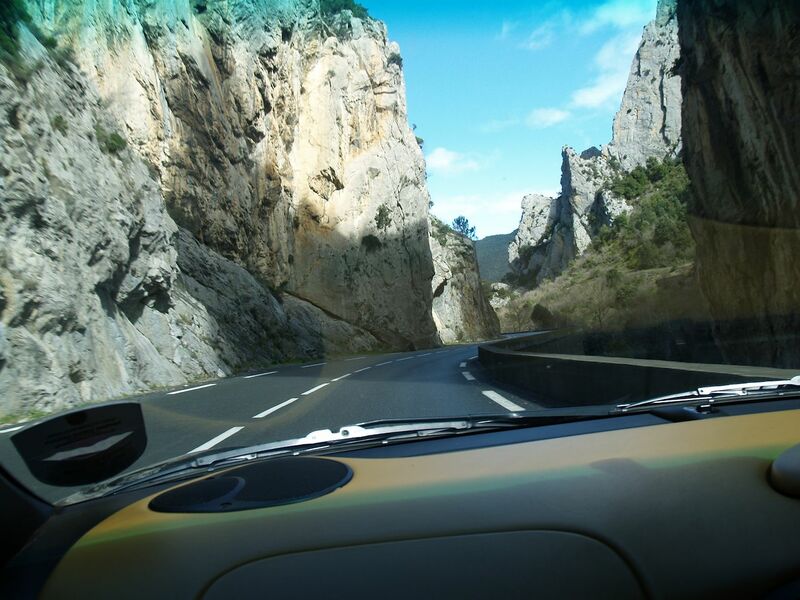 For a former automotive* journalist looking for a way back in – but lacking a specialist niche – the whole subject of driving in Europe was perfect. The format of the blog itself stems from breakfast at the Hotel Continental in Lugano, Switzerland in September 2005 (to cut a long story short, our first ever night on the road). The waiter handed out a photocopied sheet with the weather forecast, events of the day and headlines from the BBC. Even if it wasn’t specifically useful to us, who were heading down to Milan for the Italian Grand Prix, it was a great way to frame the day. That ‘photocopied sheet’ inspired the @DriveEurope daily blog but things have developed quite a bit since then. On the basis that, to truly understand the whole subject of driving in Europe we should know what is happening on a day-to-day basis, we keep an eye on major traffic jams – defined as delays of more than 45mins – weather events and delays on the Channel. We also aggregate all the news stories that crop up – and research and write up the biggest stories – all set off with a seemingly infinite supply of great pictures. For variety, and insight, we don’t restrict ourselves. If it has multiple wheels, an engine and it moves in the space between Iceland and the Urals, we’re on it. Overall, the idea is to drip feed information in small and regular amounts – and follow stories from the beginning – to build up an understanding and give drivers a colourful alternative to the dry lists of regulations available elsewhere. Two years in we’re still in awe of the task we’ve taken on but increasingly, if we don’t know the answer we know where to find it. Feel free to get in touch at info at drive-europe.co.uk or @DriveEurope with any comments or questions. Monza, eleven days, 1,781 miles, Sept 2005. Two tickets to the Italian Grand Prix + newly bought Mazda MX-5 = road trip. Ferry Harwich-Hook of Holland then Cologne-Lugano (Switzerland)-Milan (pic)-Innsbruck-Nuremberg-Cologne. 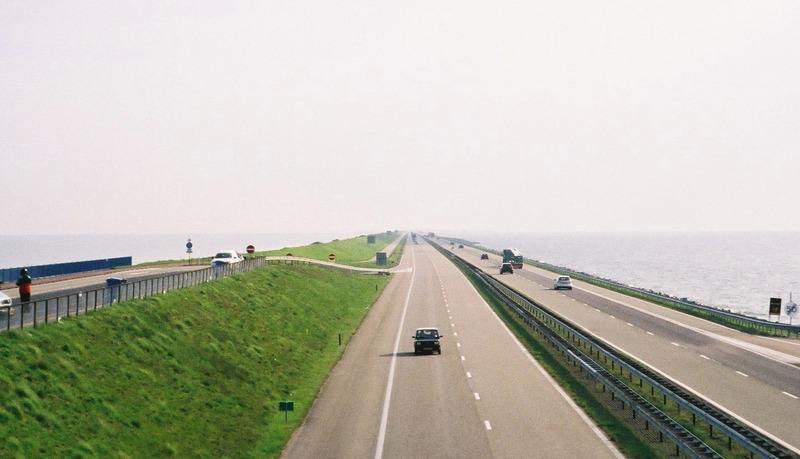 North Holland, five days, 574 miles, May 2006. A few days grabbed at short notice. Ferry to Hook then up the coast to Den Helder, across the Aflutsdijk (above) to Groningen-Lelystad-Apeldoorn. France-Spain, eleven days, 2,601 miles, March 2008. 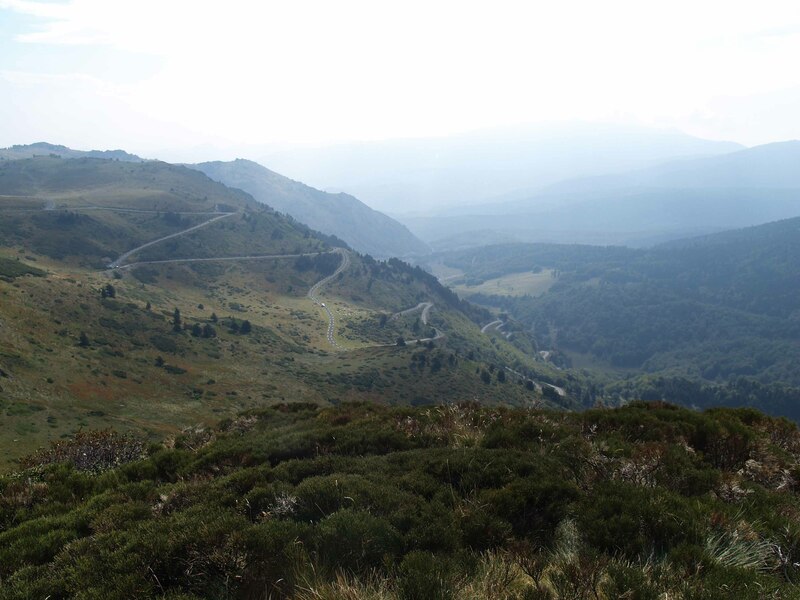 Motorway to Nancy in east France then cross country to the Pyrenees (above) and Tarragona on the Spanish Mediterranean coast. Headed back across northern Spain to Biarritz, then home in one 780 mile hop, still our one day record. 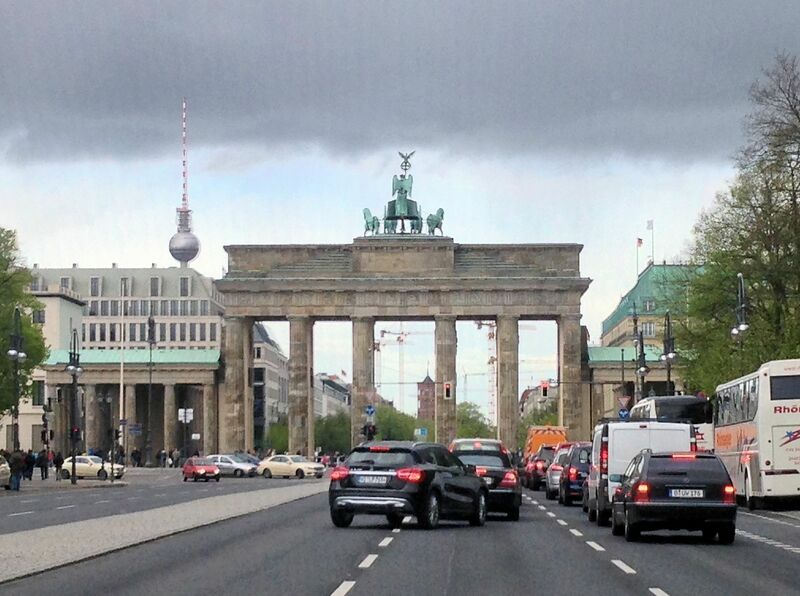 Berlin, six days, 1,640 miles, May 2007. We set our all-time land speed record of 155mph on the wide, straight, flat and empty A2 on the way to Berlin. 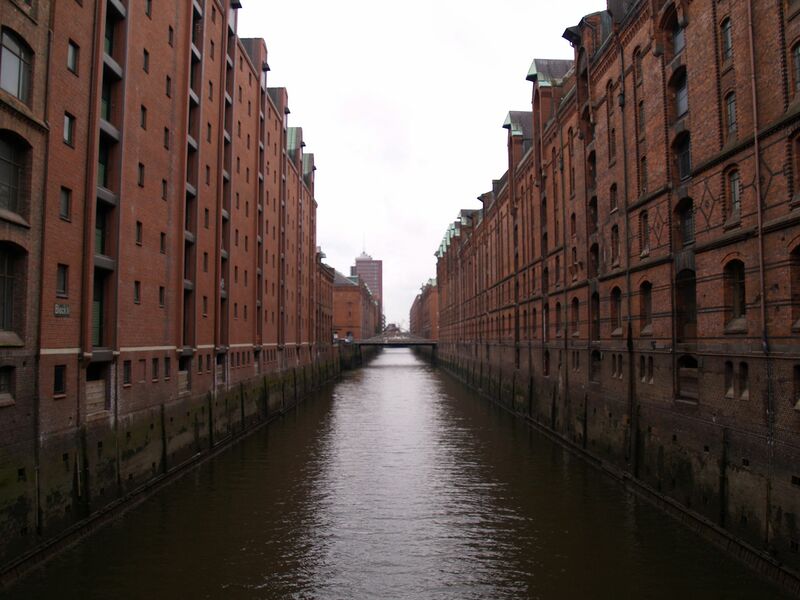 Two nights at the end of Unter den Linden, opposite the Berliner Dom, then up to the Baltic coast – Stralsund and Rugen – and back via Rostock and Hamburg (above). France-Spain Again, nine days, 2,320 miles, March 2008. 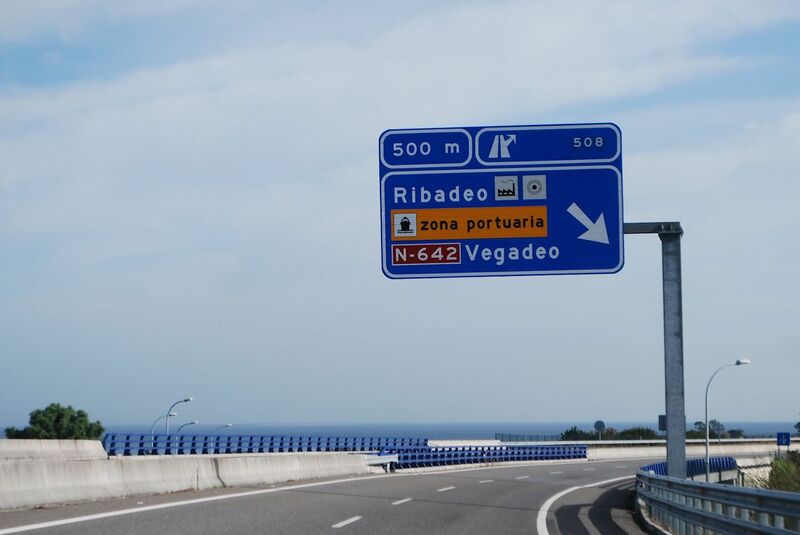 Another trip to Spain, this time motorway all the way – Brussels-Luxembourg-Lyon. Discovered Perpignan and Rousillon (above). Barcelona. Ebro Delta. Back to Perpignan-Orleans, home. Northern Germany, nine days, 1,477 miles, Sept 2008. 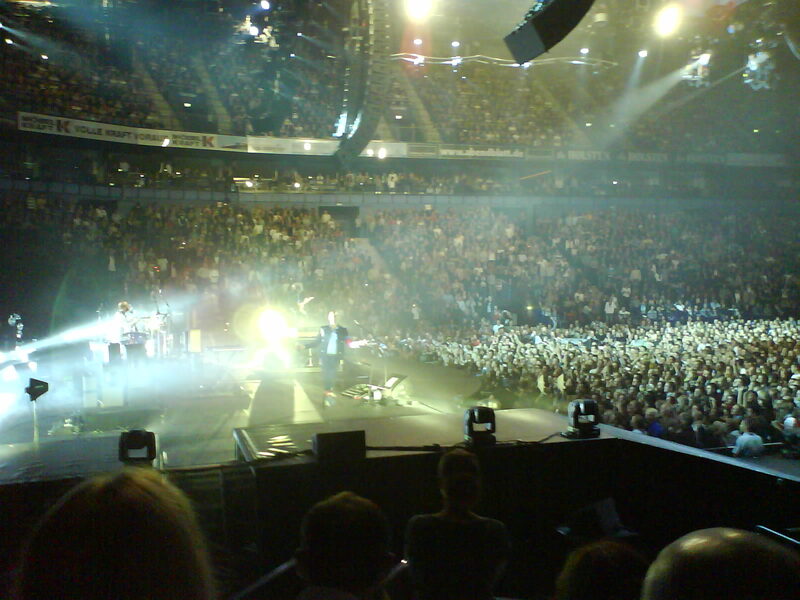 Most people wouldn’t walk ten yards to a Coldplay concert; we drove 600 miles to one in Hamburg. Was great. Then south west to Claustall-Zellerfeld in the Harz Mountains, camping beside a lake for a few days. Home via Paderborn. 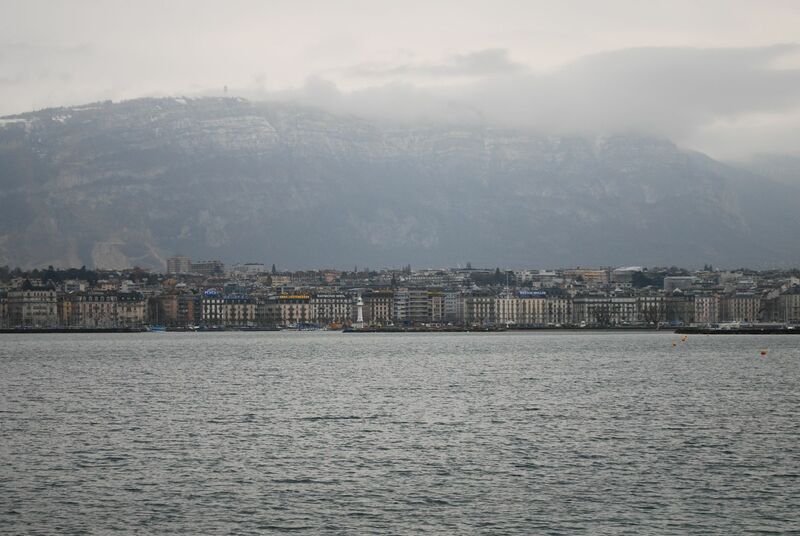 Geneva & Zurich, eight days, 1,745miles, March 2009. At the height of the Credit Crunch we spent everything on two nights at the Hotel President Wilson beside Lake Geneva. Then drove cross country to Zurich for – almost – more of the same at the Dolder Waldaus on the hill above the lake. Home via Stuttgart and Frankfurt. City Break, five days, 613 miles, Sept 2009. A DIY ‘twin-centred city break’ split between Maastricht and Brussels (above). 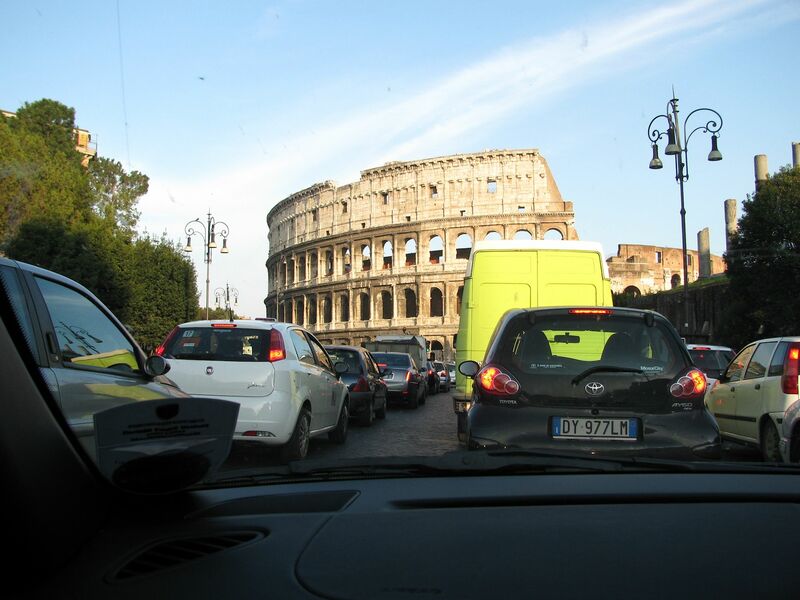 Rome, seven days, 2,499 miles, April 2010. 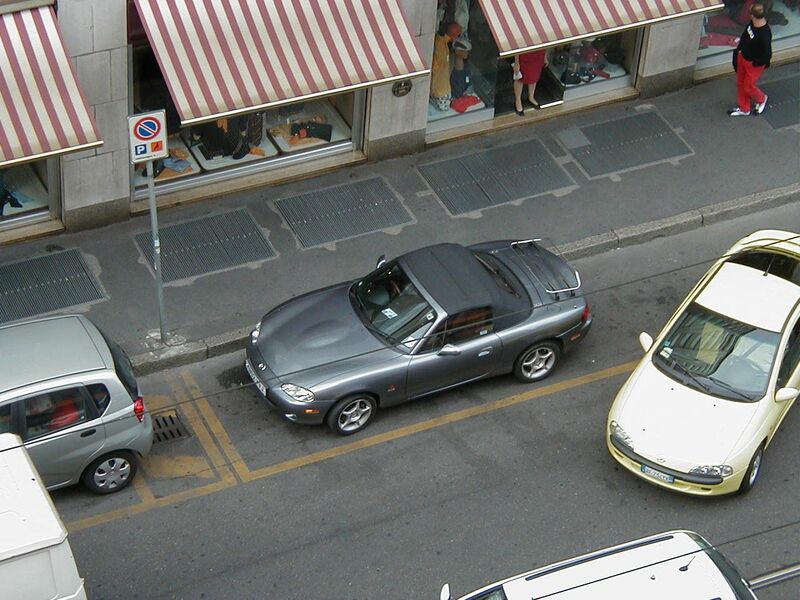 Two weeks after taking delivery of a Porsche 911 we drove it to Rome, via Innsbruck. Miraculously emerged unscathed. Then up the west coast to Genoa-Milan-Lugano and home via Maastricht. Denmark & Sweden, eight days, 2,114 miles, October 2010. Desperate to see Scandinavia in the wake of The Girl with the Dragon Tattoo, The Killing and all three Wallanders. Drove the long way, via the German North Sea coast. Then Ribe, Ringkobing, Limfjorden, Frederikshavn. Ferry to Gothenburg. Drove down the west coast to Bastad (above) then Malmo. Oresund back to Denmark. Spent the last night in a roadside motel near Enschede. Eastern Europe, nine days, 2,694 miles, Sept 2011. Vienna, in two hops via Maastricht. A day trip through Hungary and Slovenia to Trieste. 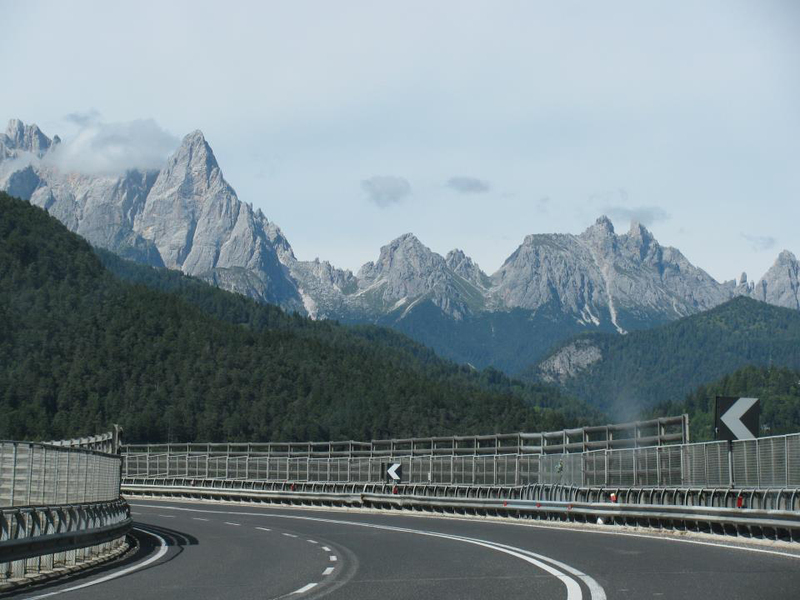 Into the Dolomites (above) then west to the French Alps. Up to Paris on the back roads. Final night in Fontainebleau. West Balkans, nine days, 3,102 miles, May 2012. Cross country Basel-Lucerne, night in the car beside the lake (now in an Audi estate). Oberalppass-Julier-St Moritz-Bernina Pass to Trieste via Venice. Down through Slovenia and Croatia (above) to Split for a couple of nights then – tense – across the Bosnian border to Sarajevo. 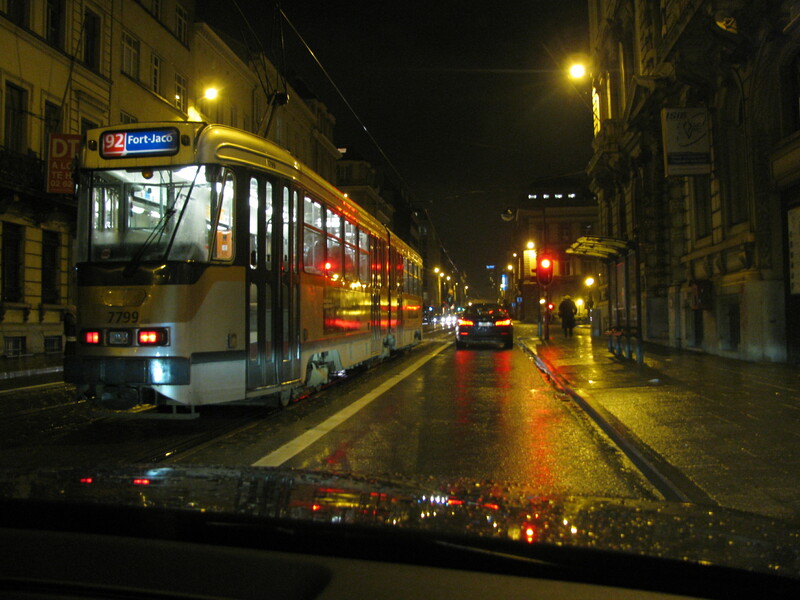 Past Srebrenica to Belgrade-Budapest-Bratislava-Brno-Prague-Dresden then across Germany in the driving rain. Last night in Siegen. 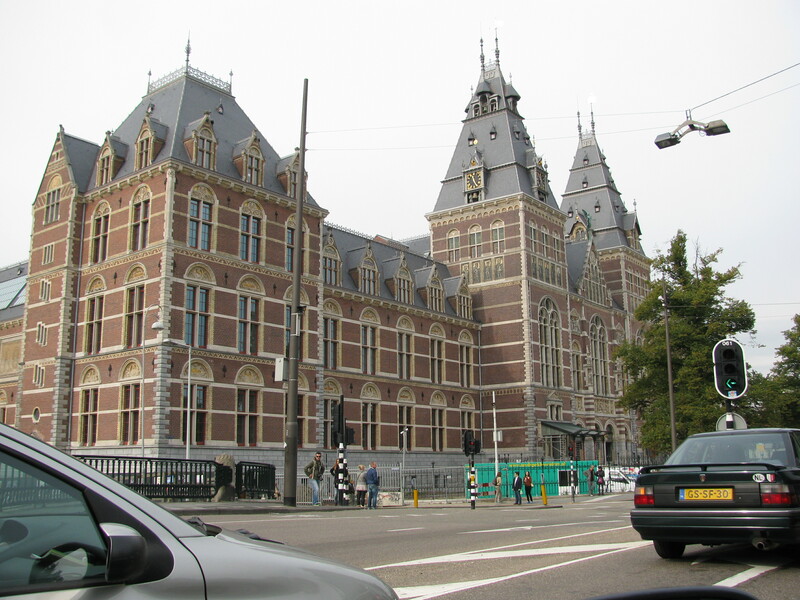 Amsterdam, three days, 477 miles, Sept 2012. Enormous expectations. Two weeks off. Loads of cash. Nothing booked. Struck down on the A2 to Amsterdam. Trip number 13. Two nights beside a canal, no improvement. Straight back home on the Stena boat from Hook. Brussels, three days, 498 miles, December 2012. A European Commission conference on Road Tolls. Managed Bruges and Gent on the way and the Louvre Lens museum in France on the way back. East Balkans, eleven days, 4,117 miles, May 2013. Maastricht-Baden Baden-Lugano. Bologna, Futa and Raticosa Passes to Arezzo, then the boat – eventually – to Igoumenitsa. Mount Olympus, Thessaloniki. No time for Istanbul. 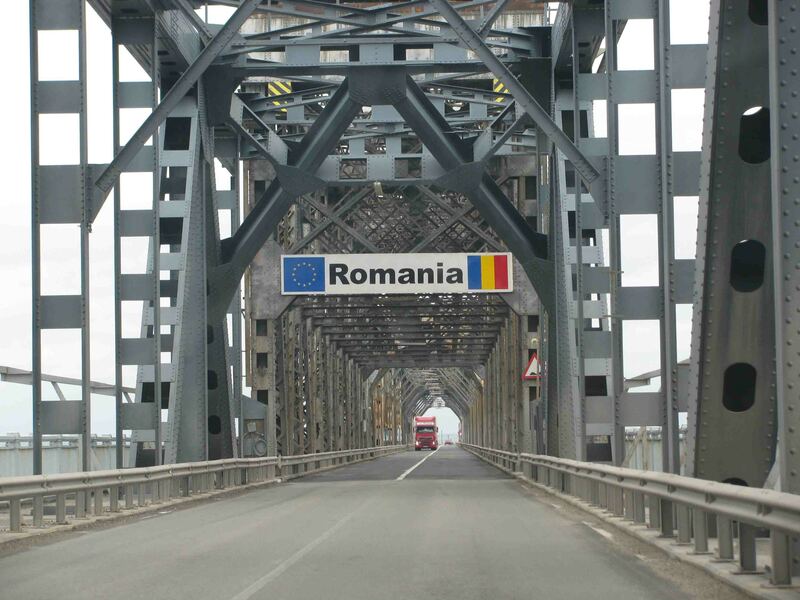 So Sofia-Ruse-Bucharest-Transfagarasan-Timisoara-Linz-Luxembourg. Spa-Francorchamps, four days, 845 miles, August 2013. 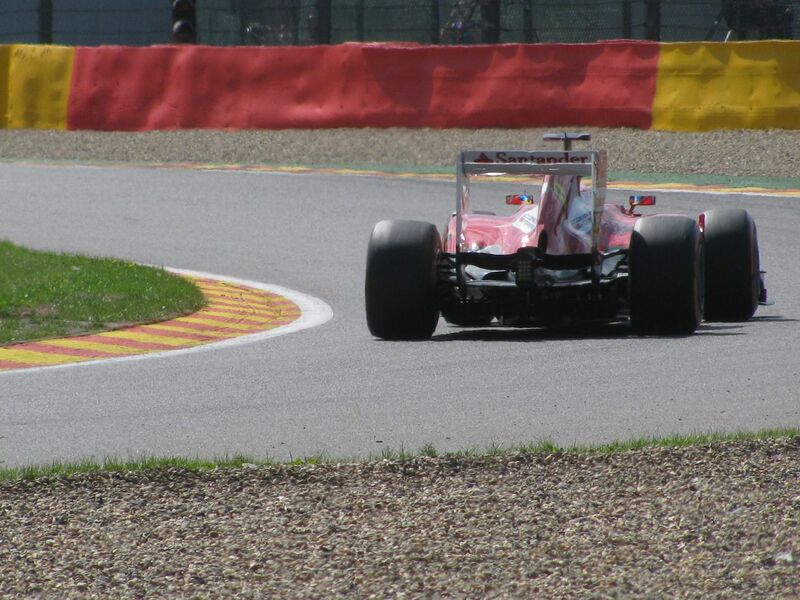 A long weekend at the Belgian Grand Prix. Staying at the ever convenient Maastricht, 50 miles up the road. Great practice and qualifying sessions, boring race. Often fall asleep watching Grand Prix on the TV. Was the first time have been overcome by terrible fatigue while actually at the track, standing up. Race Around the Baltic, May 2014: 3,535 miles in seven days, anticlockwise, in our week old Range Rover Evoque. We had to miss out Russia (and Kaliningrad) but otherwise drove through every country on the way, crossing the Gulf of Finland on Viking Lines between Tallinn and Helsinki, topping out at the Gulf of Bothnia and catching the ferry home from Esbjerg, Denmark. 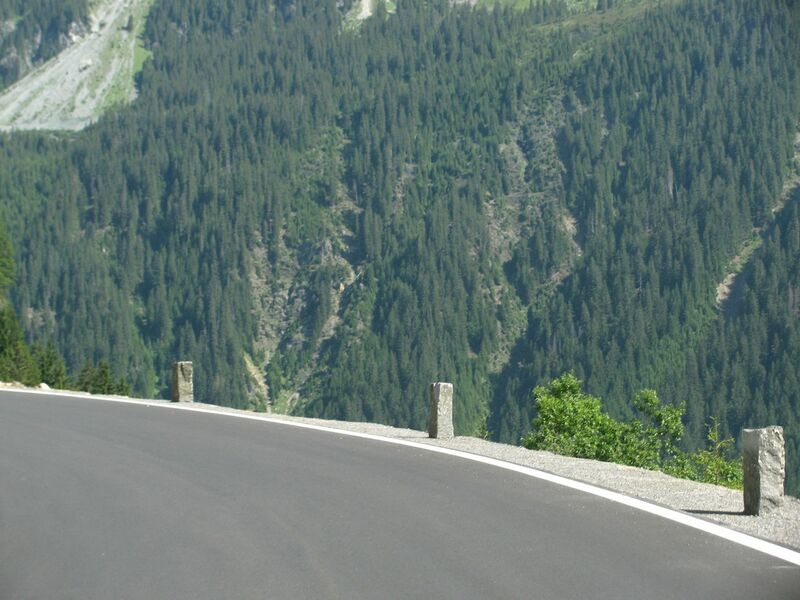 Tall Order, June/July 2014: more than 150 mountain passes in ten days was always going to be hard to achieve. So it proved, as much due to sheer terror as logistics. We gave up after 70 or so and went and sat by the sea, but not before putting another 3,765 miles on the clock via northern Luxembourg, southern Germany, western Austria, central and east Switzerland, northern Italy and all the way up eastern France from Grasse to Calais via Geneva and Dijon. Box Ticking Groningen-Gibraltar, October 2014: 4,592 miles, eleven days. Four days in an isolated cottage in the far north Netherlands to The Rock Hotel in Gibraltar ticking off those pesky bits of infrastructure that had so far eluded us – the A45 Queen of the Autobahns, Millau Viaduct, etc, etc, etc – then home via Lisbon and the beautifully undeveloped north Spain coast (pic). The road toll bill alone was €350. 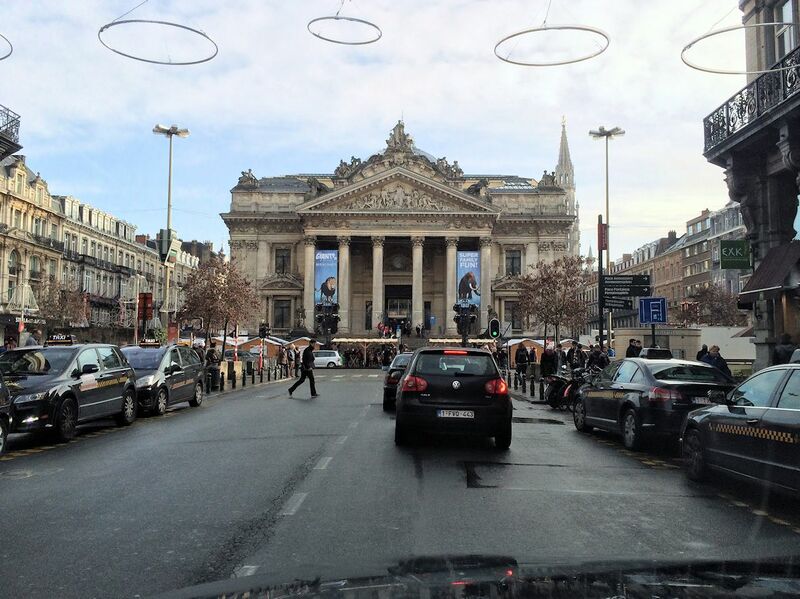 Brussels, December 2014: rounding off a stellar year by our standards with a three day, 450 mile hop to the Belgian capital fuelled by Christmas cash. Finally got our bearings on the R20 ‘Pentagon’ ring road around the city centre. Headed home cross-country adding another ace N road to our repertoire and discovered the delightfully fortified little town of Bergues, five miles from Dunkirk. 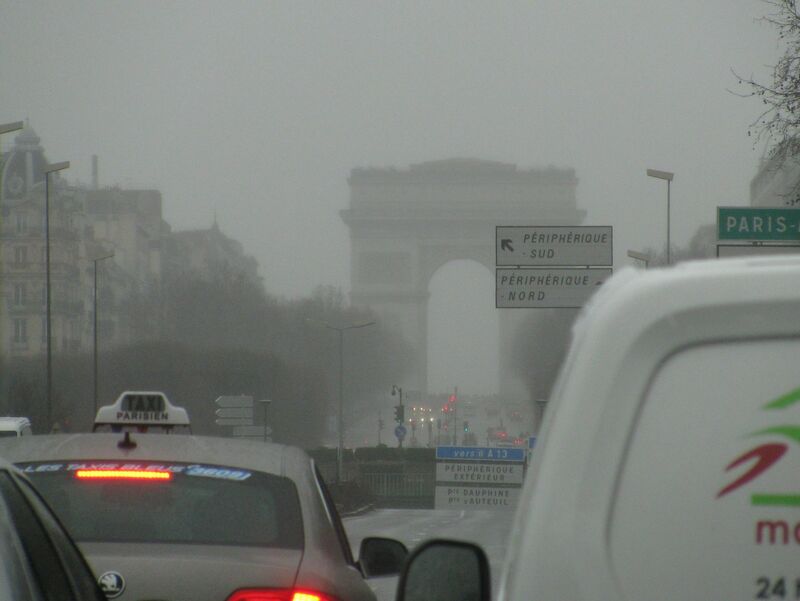 Paris, four days, 570 miles, March 2015. A routine city break staying further up the Champs Elysee from the Arc de Triomphe in ‘business-oriented’ La Defense. Occupied ourselves with a recreation of the notorious ‘Rendezvous’. Ukraine, 16 days, 4,500+ miles, June 2015. Across Germany and southern Poland to Ukraine capital Kyiv then coastal city Odessa. Home through Moldova, northern Romania, eastern Hungary, Slovakia, Czech Republic and Prague before heading down to the Austrian Alps and home via Wurzburg and Brussels. 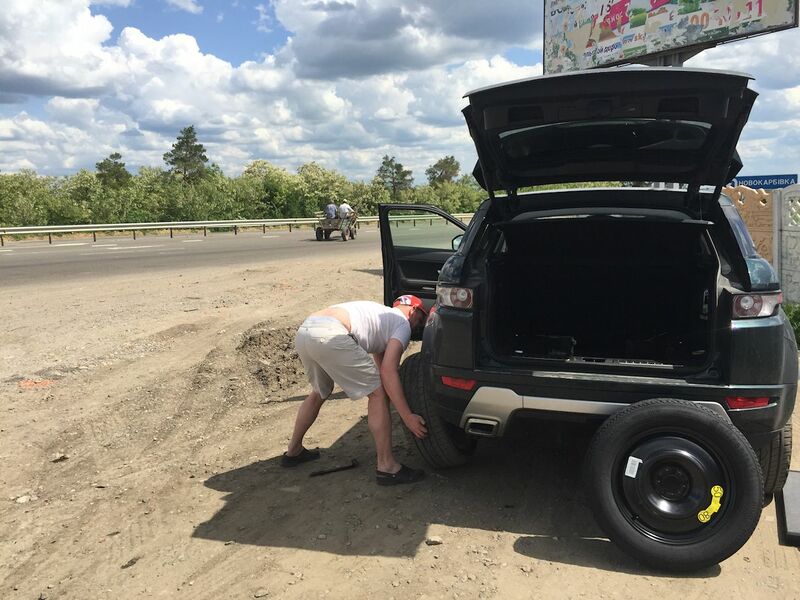 Photo: changing a tyre on the road south to Odessa. Incredibly, we managed to find a specialist all-season replacement thanks to the superb efforts of a local supplier. Dog Holiday, September 2015: much closer to home this time with a relatively gentle drive south through the French, Swiss and Italian Alps then the French, Andorran and Spanish Pyrenees, accompanied – for the first time ever – by the dog. In another first we caught the overnight Brittany Ferries Santander-Portsmouth boat home, staying in a pet-friendly cabin. Photo: spectacular cloud breaks on Galibier, 2645m (8678ft) near Grenoble. Soelden Skiing, Austria, February 2016: seven days away around three days skiing at James Bond resort Soelden in south west Austria. Also site of Otztal Glacier Road, the second highest road in the Alps at 2830m (9285ft) and theoretically open all year (except when we were there). Stopped at Maastricht on the way out and Brussels on the way back via a wintry Neuschwanstein Castle. 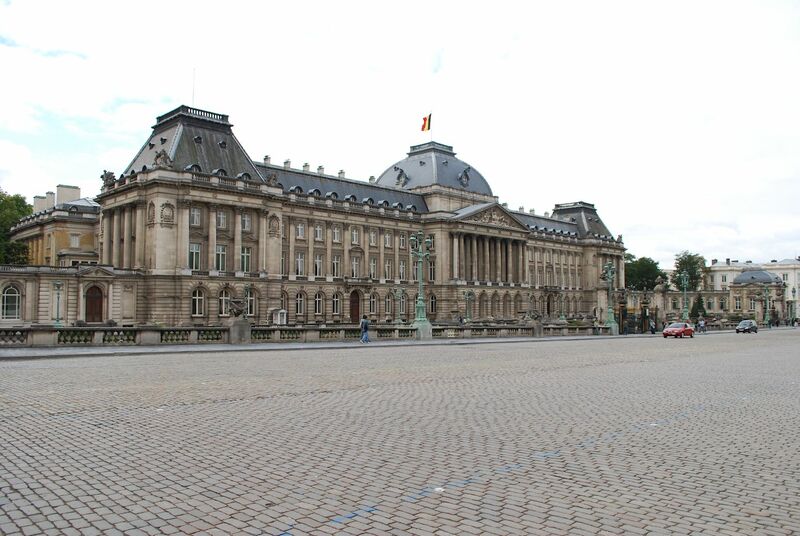 Brussels + Antwerp, April 2016: a long weekend, double-city break. Not one of our greatest trips. We’re losing it on hotels, probably because we now pre-book we think. Meanwhile we got stung at Eurotunnel for not pre-booking (though the five day return was much better value). The overall biggest issue however was it left us thirsting for more… Photo: parking up beneath the Atomium, northern Brussels. Around France, September 2016: one of our best trips, no doubt about it, mainly because the dog was welcomed everywhere and the people were great. Our hotel game picked up too with a succession of great places to stay – from a 17th century wine estate in the Loire to a chateau in the Cevennes, an incredible beachside hotel in Bandol and a hugely enjoyable return to L’Alta Peyra in the Alps. A catered chalet in Morzine, just south of Lake Geneva, was a new one on us. In amongst this lot was a string of mountain roads including 2083m Col du Mont Cenis and 2770m Col de l’Iseran (above). The scariest however was not in the Alps but the steeply cascading, barrierless and extremely narrow D43 above La Malene in the Cevennes. 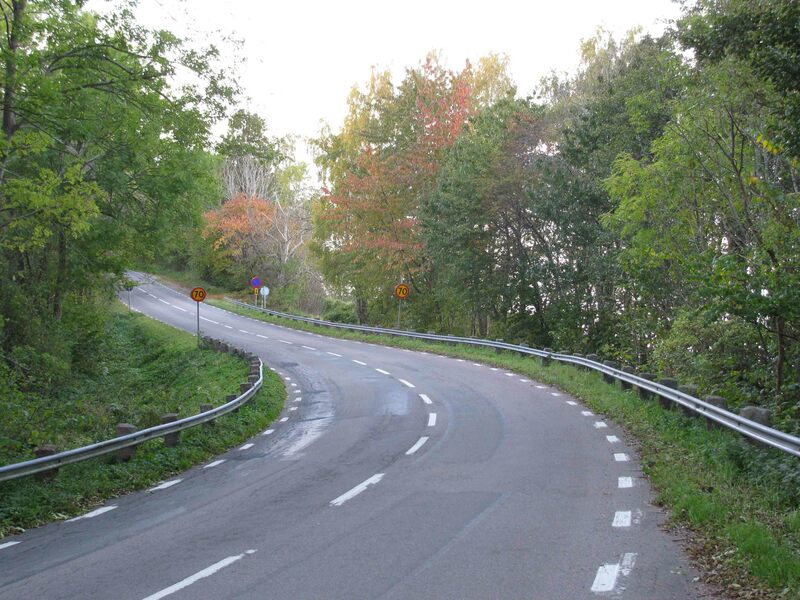 When in Finland where are You going to drive? You are welcome. When returning from St Petersburg to Helsinki, You might take a time travel on Russian side. I have presented many towns alongside Finnish coastline and them You find when clicking Categories, scroll down looking Towns. Every town has lot of photos and its history. Nice idea for a blog. I do plenty of driving in Europe so will be staying tuned.